Hi friends! I hope everyone had a good week. Despite the fact that Spring officially arrived on Wednesday, it's still unseasonably cold in Baltimore. There is no sign of warmer weather in the forecast, but on the bright side, the days are still getting longer, which makes me happy. Kent and I planned to travel to Philly today for a pre-Easter/birthday weekend with his family, but we left last night instead due to a power outage in our building. I'm looking forward to spending time with family and being away. As I told you on Tuesday, last weekend was so boring that I couldn't even write about it, so I'm optimistic that this weekend should be more interesting. Favorite remix: Chocolate-Truffle Chip Cookies. These cookies are a fresh take on the traditional chocolate chip cookie. I have experimented with countless variations of this recipe, but this one is particularly unique. 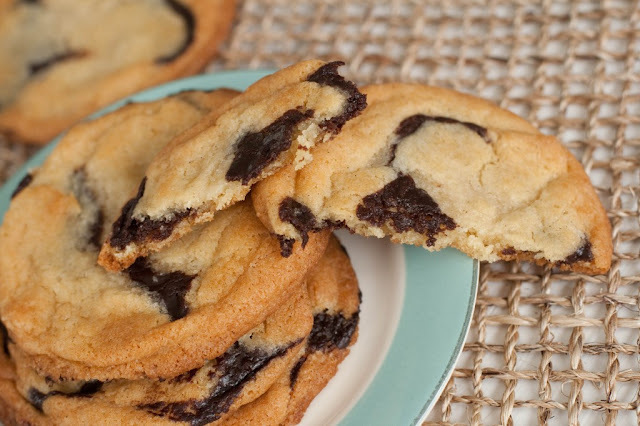 Instead of chocolate chips, chocolate ganache is twisted with the dough so that swirls of chocolate disperse throughout the cookie while it bakes. Yes, it requires a little extra work to make your own "chocolate chips,", but it looks worth it to me! 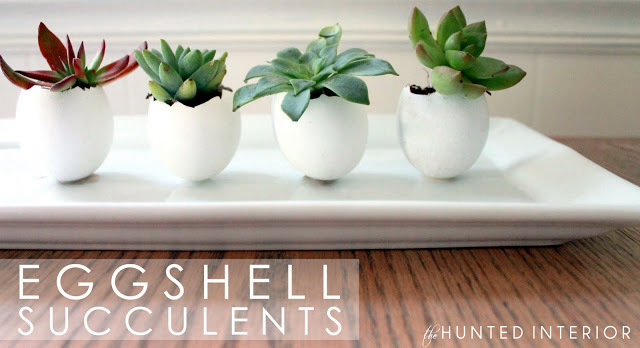 Favorite craft: Eggshell Succulents . There is so much Easter inspiration this week in the food and craft worlds. Ideas like this make me realize how creative some people are, and how much I'm not. Favorite look: Spring Color Blocking. I love this color scheme of blue and green. Normally you see color blocking with different color families such as red and black, but I love these cool colors paired together. I'm not a skirt person, but I could see myself incorporating this J Crew one into my wardrobe for a spring occasion. One that involves food, preferably. Favorite indulgence: Oreo Icebox Cake. I love Shelly over at Cookies and Cups. She is so talented at developing the most indulgent, delicious, and simple desserts. This treat is only three ingredients! Oreos take a "bath" in milk to soften before being layered with cool whip. It's then refrigerated overnight to firm up for serving. 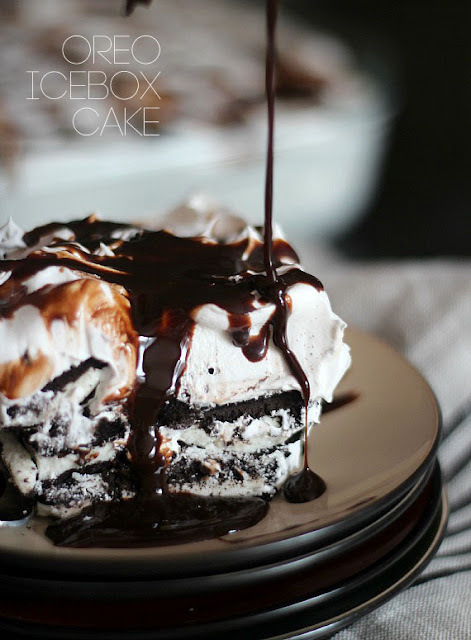 Who needs me to make this for them??! 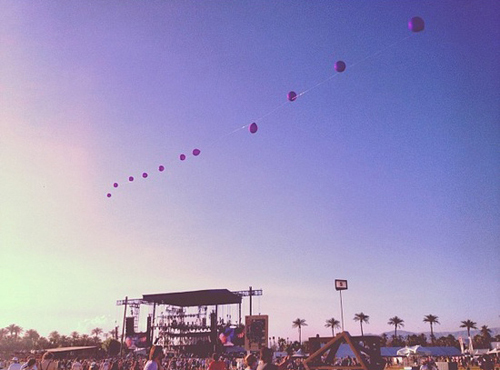 Favorite read: Bucket List: 10 Things to Try This Spring. There are some great ideas on this list. My favorites are attending an outside concert and going on an impulsive road trip. Some are inapplicable and silly, but take a look for some inspiration. Favorite video: Pink Stops Show to Comfort Crying Child. I love Pink. I consider her to be the music world's Jennifer Lawrence- a down-to-Earth gal who you feel like you could be friends with. During one of her performances, Pink heard a little girl crying and stopped singing to investigate. It turns out the child was upset by a fight that broke out in the crowd. She gave the girl a toy frog and a Rice Krispie treat to comfort her. A Rice Krispie treat does solve everything. 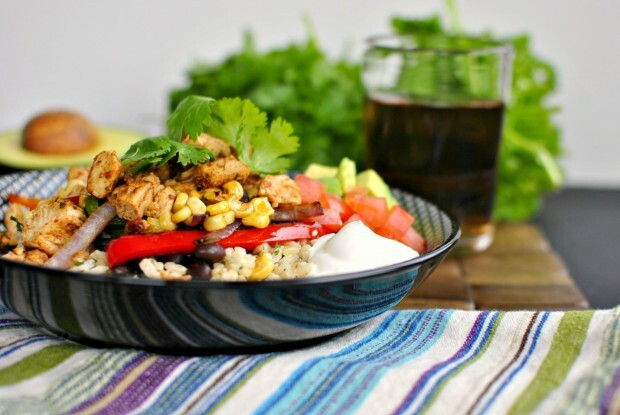 Favorite meal: Chipotle Chicken Fajita Rice Bowl. I love the concept of Chipotle's Chicken Burrito Bowl. Chicken, rice, sautéed veggies, cheese...it all should work, but for me, it doesn't because I hate their cilantro rice. We went to Chipotle last night and I was reminded of how much I loathe this rice. It leaves the most rancid bitter taste in my mouth. Bleh. This version from scratch sounds so fresh and delicious. Most importantly, though, I can customize it to not include cilantro. Favorite funny: 10 Moves for a Tighter Bottom. I did this sequence earlier this week, and I thought it was a great toning workout. Favorite funny: 85 Year Old Best Friends. My sweet friend Anna sent me this video earlier this week, and I thought it was so cute and funny. I hope this will be us in 60 years! 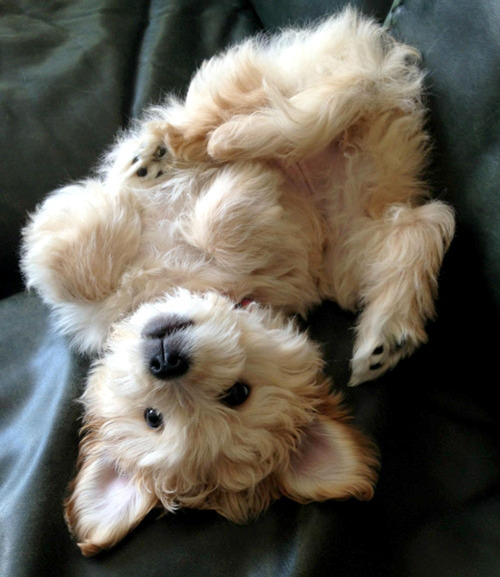 Favorite pup: Upside Down Pup. There is nothing like a dog to remind you to keep life playful.